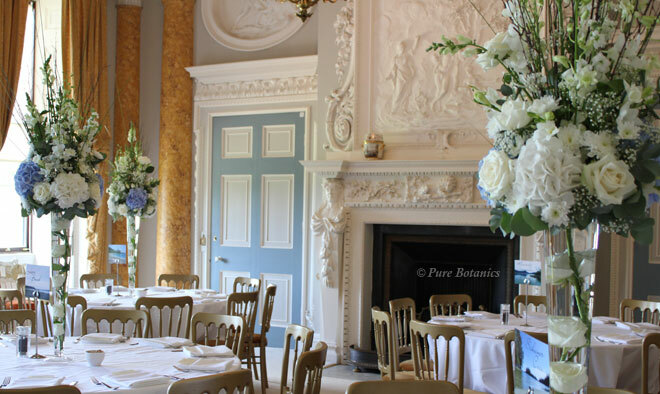 At Pure Botanics, we are totally committed to your wedding day. We are able to work within any budget large or small. As well as creating stunning bridal bouquets, we can also decorate your venue / church / marquee / barn and reception. 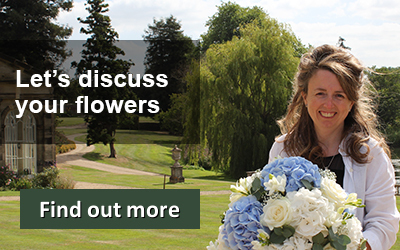 Our most popular wedding flowers selection, which includes bouquets for the bride and bridesmaids, buttonholes, ceremony and table arrangements, is around £800.00. 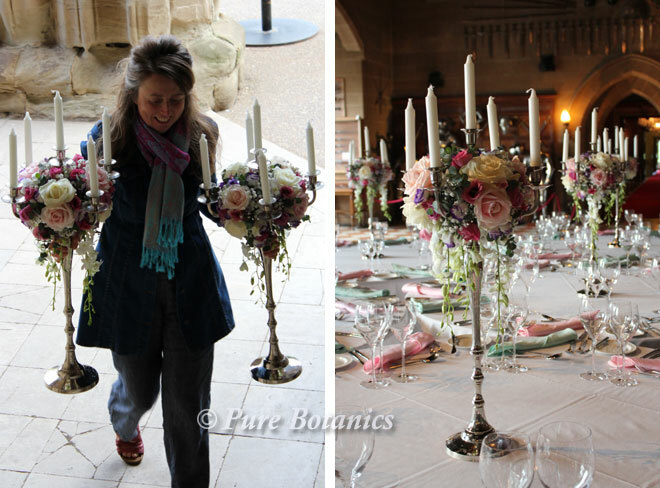 We work on smaller weddings for less and larger weddings where the flower budget is a couple of thousand pounds. 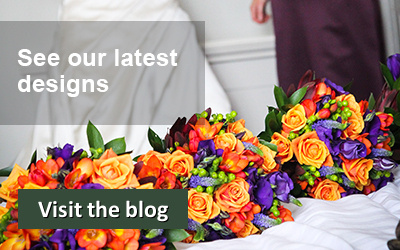 Every wedding is different; every couple has a personal budget and different requirements. This is why we always do personal consultations to provide you with a very clear quote tailored to your requirements. We provide a top quality customer service, which is all included in the price. 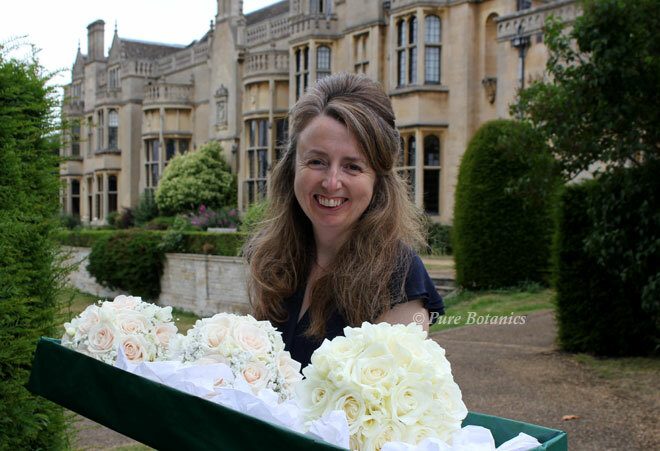 This includes delivering the bouquet to the bride and setting up all of the ceremony and reception arrangements. Hire of items such as vases, candelabras, stands, trees, table mirrors and candles is included in the price. You don’t have to worry about a thing; we always ensure everything is looking beautiful before we leave. We even collect all the hired items the next day. This is why we only book one wedding per date to ensure that we can delivery this high level of service. So please contact us as early as possible to ensure your wedding date is available. Don’t hesitate to explore your possibilities with us, without obligation. I’m here to help you make your day unforgettable. You can use our contact page or ring us on 0788 7557489.